Individuality is our strength. Here we can only show you a small sample of our vast product range. 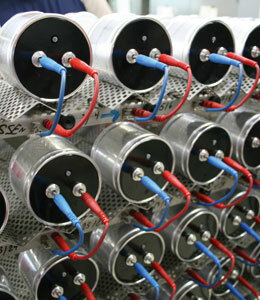 We would be happy to offer you a custom capacitor solution to satisfy your needs. Immediate, straightforward proposals and tailored to your needs. More than 65 % of our successful products are custom-made. Our catalogue only shows a small share of our possibilities. Take advantage of our experienced development team and find a suitable solution for your project. We look forward to your next inquiry, by E-mail, fax or phone !